The team-up of director Ron Howard and Canon USA is back for the second running of Project Imagination. Project Imagination allows the public to submit their photos, preferably using Canon cameras, that will serve as inspiration for production. The winning photos will then be used as basis for themes, scripts and looks of films to be directed by celebrities. Last year's Project Imagin8ion boasted 8 winners in a total of 8 categories. One winning piece was turned into a short film titled "when you find me", directed by Ron Howard's daughter, Bryce Dallas Howard herself. As mentioned in the video, the project recruits ten celebrity directors that will execute their film interpretation of the following storytelling themes: Mood (conveys atmosphere, tone or emotion), Time (represents time of day or within history), Goal (whatever the character is pursuing), Obstacle (anyone or anything in the character's way), Relationship (a relationship between anyone or anything), Backstory (a history that promotes fuller understanding of the narrative), The Unknown (can be anything unexpected, a twist), Setting (any location or environment), Character (can be anyone or anything) and Discovery (a key and potentially pivotal item, place or truth that is uncovered). Submission of entries ran from August 14 to September 24, 2012. The official website of the project has already announced the 91 semi-finalists of winning photos, which were narrowed down through public votes held on September 4 until October 1. Ten photos, one per theme, will then be selected from these entries by the featured celebrity directors to inspire them in their film making. 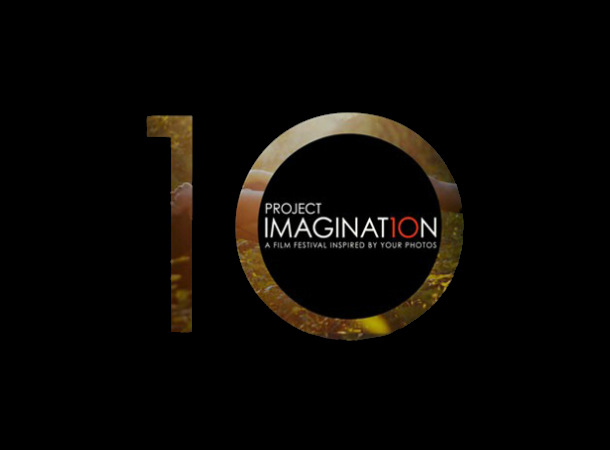 All film interpretations will then be screened on the Canon “Project Imaginat10n” Film Festival in 2013. Aside from tickets to the premiere, the winners will be given some Canon equipment that will make any photo aficionado go gaga.